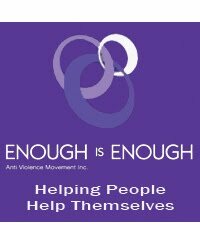 Don't Suffer in Silence - Enough is Enough Blog: Healthy Relationships Checklist: How do you know if it’s still working? Healthy Relationships Checklist: How do you know if it’s still working? Remember the feeling when a relationship is new? The excitement every time the phone rings, the long hours spent together that just fly by and the giggling conversations with girlfriends or good-natured teasing by mates, over how you were meant for each other. Sometimes even the closest relationships can go wrong. But how do you know if you or your partner may need help, or when should seek help for your relationship? The glossy magazines have quizzes on how to tell if you’re in love, or if he/she loves you, but not if it’s not working. What can we measure our relationship against to know if it’s going in the right direction, and if it’s not what can we do? If you can tick any of the above, you might need to speak to someone about your relationship and explore how to improve it - or leave it. Couples often experience difficulties due to each others’ ‘baggage’ - but with commitment from both sides, these should be temporary. However where only one party is making an effort they can be insurmountable. If someone loves you they want to lift you up, make you happy, not pull you down and have you live with humiliation or violence. If you are not happy or not feeling safe and comfortable in your relationship only YOU can change this. There are people and organisations who will be there for you, will understand you and support you. Please call us for the individual counselling session on 02 9542 4029 . Actually, I think that no one should panic if the relations change. They are not always changing for the worse. It's absolutely NORMAL that they take just a different quality and that's all. You can't save the fresh and new character of relations forever and it's not required. Feel the changes? That's OK. Analise: if you still feel well, but different - you have nothing to worry about.